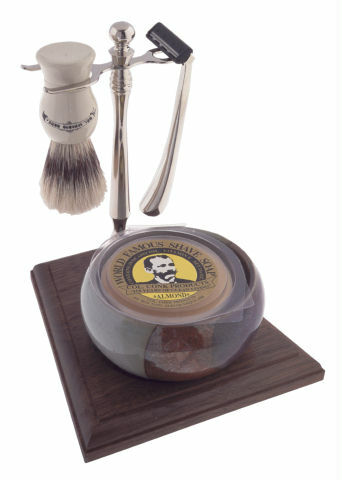 Progress-Vulfix deluxe boar brush, chrome double track razor, 3 3/4 oz soap and the Santa Fe bowl. 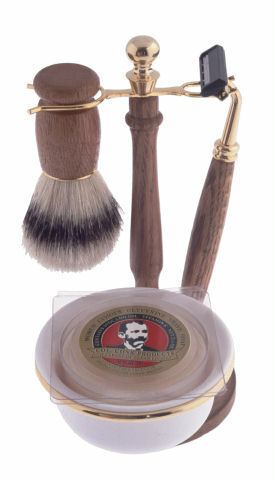 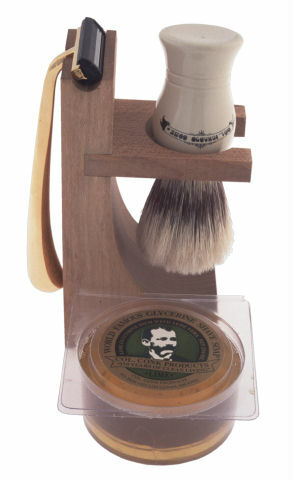 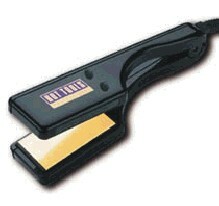 Wooden and gold toned double track razor, Progress-Vulfix pure boar brush, bowl and soap. 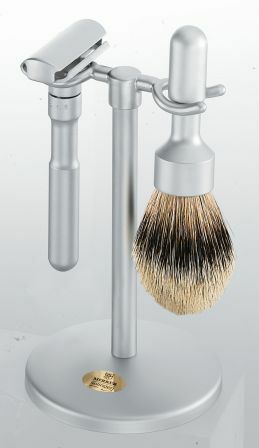 4pc. 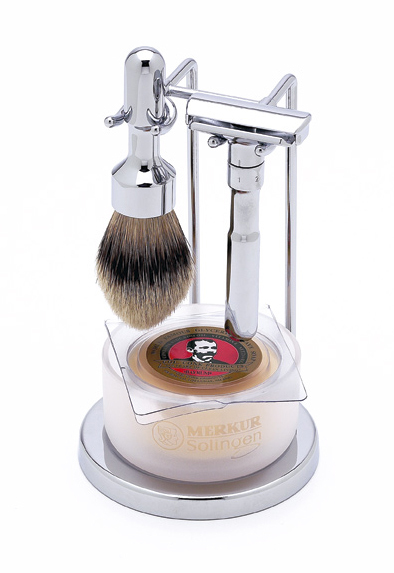 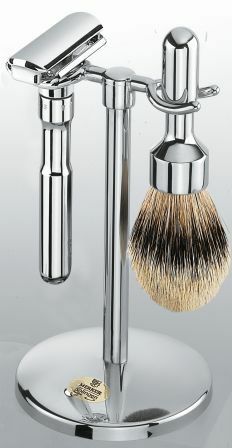 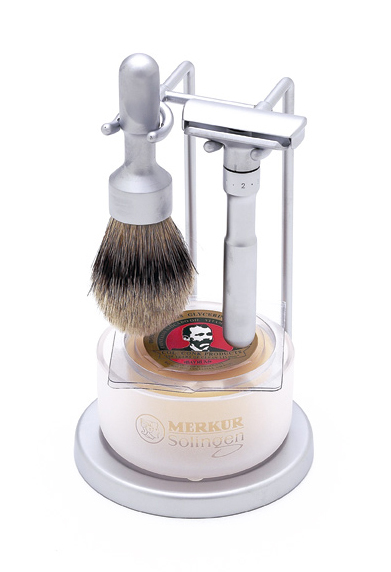 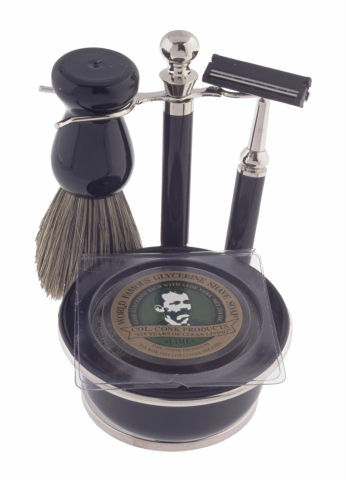 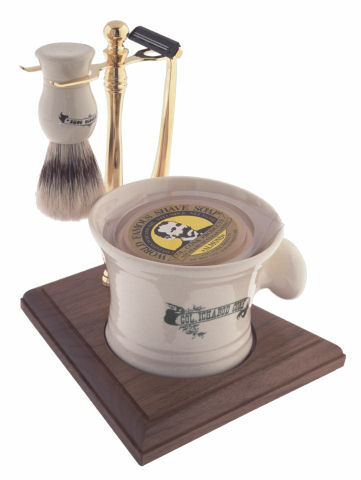 Merkur Futur Safety Razor Set, brushed(#750) and polished(#751) chrome stand and bowl, pure badger brush and Col Conk soap.